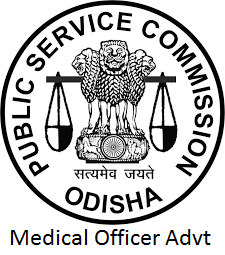 Odisha Public Service Commission (OPSC) has issued a latest recruitment or advertisement to recruit Medical Officer Assistant Surgeon Posts in Junior Class –I of Odisha Medical and Health Service Cadre Online Process. Job Aspirants may apply online mode by visiting official site of OPSC before last date (IMP dates are given below of the page). Applicants also check other details related to OPSC Medical Officer Recruitment 2016 like how to apply, selection process, educational eligibility, salary and more details are given below. Applicants may check previous question papers, model papers, sample papers, syllabus, and question paper pattern for better preparation. Educational Eligibility: MBBS with Registration in Medical Council of India. Pay Scale: Rs.15, 600 to 39,100/- Grade Pay of Rs.5, 400/-.